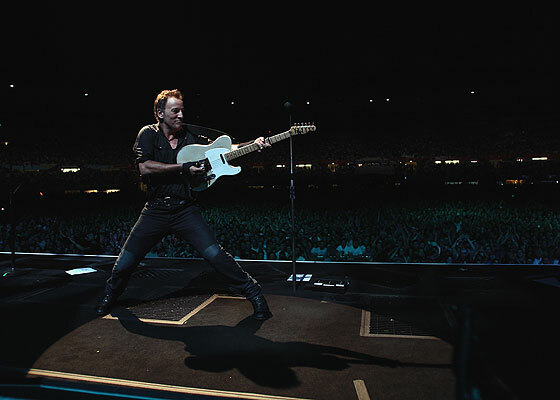 Bruce Springsteen and the E Street Band launch the first U.S. leg of the 2012 Wrecking Ball World Tour on March 18 in Atlanta. Bruce Springsteen's 17th studio album, Wrecking Ball, will be released on Columbia Records on March 6. "We Take Care Of Our Own," the album's first single, is "classic Springsteen" with "anguish and challenge [that] run thick and fast" (Rolling Stone); and a "richly orchestrated Wall of Sound... that nods to the 'Born to Run' era" (Billboard). The E Street Band's members are: Roy Bittan - piano, synthesizer; Nils Lofgren - guitar, vocals; Patti Scialfa - guitar, vocals; Garry Tallent - bass guitar; Stevie Van Zandt - guitar, vocals; and Max Weinberg - drums; with Soozie Tyrell - violin, guitar, vocals and Charlie Giordano - keyboards.